How to unblock a toilet – that dreaded phrase you type into a search engine every few months. Sorry you had to find this page. We feel your pain. It might be the dirtiest, smelliest and most unglamorous bathroom job ever, but it’s really easy to do once you know how. 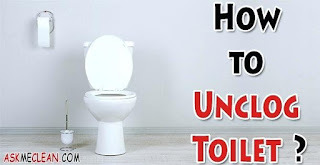 Follow our step-by-step guide for how to unblock a toilet, bookmark the page and you’ll have all the info you need whenever you find yourself reaching for the plunger. If you try it once and it doesn’t flush properly, it’s blocked and no further flushing is going to help you out. If you know there’s something stuck in your toilet (a child’s toy, a bottle of something that’s fallen in, you know the drill), reach for your gloves and pull it out. Although, if it’s something a bit, well, smellier, then it’s time to flex your plunger muscles. Lift the drain cover to see if the chamber is full of water. If so, the blockage is further along the soil pipe. If the chamber is empty, the blockage is in the soil pipe between the loo and the chamber, or in the pan. You can try and clear any blockages in the pipes by using specialist drain rods or makeshift devices, such as a wire clothes hanger. Failing that, a drain company is the answer. Use a plunger that is shaped to seal the opening in the toilet bowl to create the correct vaccum and pressure needed, and also to prevent mess. An auger is a flexible rod that reaches far into the toilet controlled by a crank handle. Once the blockage is located, the auger will pull or push the item to remove it. Try the flush again and watch the beautiful sight of a flushed toilet before your very eyes. Top tip: Run the plunger under hot water before starting work. This softens it up a treat. If you don’t have a plunger to hand, grab a wire coat hanger, unwind it so you have one piece of long wire and bend it into a curve. Push the wire up into the toilet and wiggle gently to push the blockage clear. The key word here is gently – you don’t want to scratch your toilet. If you don’t think the toilet is badly blocked, you can try pouring hot water into the toilet bowl from a bit of a height before using a plunger – this can help dissolve the blockage, pushing it hard through the pipe and is the more environmentally friendly way of unblocking your toilet. 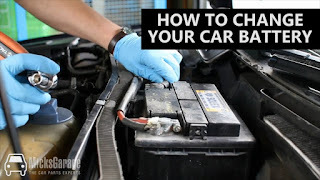 If this doesn’t work, you may need to recruit the help of some caustic soda or drain cleaner. Make sure you wear gloves for this step. If the elbow grease plunger method doesn’t work, or if you continually have problems with a blocked toilet, there are several good quality unblockers on the market – you can find them in supermarket cleaning aisles. Good luck unblocking your toilet!